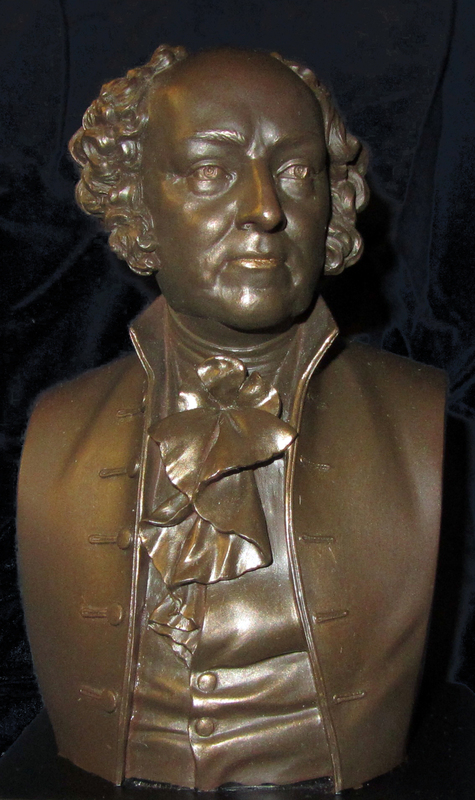 I have a bust of John Adams on my desk. I also have one of John Quincy Adams. Both are reminders to be resolute and work hard. Lawyers made a very large contribution in the founding of the United States. We have a noble profession that is dedicated to upholding our Constitution and helping those in legal jeopardy. There have been many other great speeches since 1776, but Thomas Jefferson’s words launched a nation. July 2, 1776 was the day the Centennial Congress voted to declare independence from Great Britain. John Adams thought that date would be a future holiday. Considering he was only off by two days, we should not debate his wisdom on the importance of the vote. Many people forget that an American victory was in no way guaranteed when the Founders voted for Independence. At the time of the vote, the size of the British Army marching toward Philadelphia was larger than the city’s population. Shortly before the 50th Anniversary of the Declaration of Independence, John Adams was interviewed for his views on the Declaration. The normally long-winded Adams gave the reporter only a two-word statement: Independence Forever. Both Adams and Jefferson would die within hours of each other on July 4, 1826. Old friends, turned very bitter rivals, who later found reconciliation, had their final moments as their country celebrated their greatest accomplishment: The Founding of the United States of America. John Quincy Adams was President at the time. Some of you might wonder why also a bust of John Quincy Adams. Quite simply, few attorneys have served our country with greater dedication than John Quincy Adams. JQA was a boy as his father helped found our country. Not even a teenager, he went with his father to France to act as his aide. His service included being the Ambassador to Russia, a US Senator, helped negotiate the Treaty of Ghent, Secretary of State, President of the United States and then a US Congressman. When Adams died after a stroke on the floor of the House of Representatives, his funeral procession was the largest in US History. Only one other state funeral would have a larger outpouring of national grief in the 19th Century. It was for an attorney from Illinois who served one term in Congress. His name was Lincoln. As we celebrate the birthday of the United States, it is important to remember the words of the Declaration. It is important to remember how revolutionary those words were in 1776. More importantly, we should remember how we as lawyers can serve our country.